Wishing you a Merry Christmas and a Happy New Year with 10% off from Advanced Travel! The time of year that everyone looks forward to; Christmas! It’s upon us once again and what better way to celebrate than allowing Advanced Travel to transport you to and from your destination with a whopping 10% off! The busy festive period; with Christmas around the corner most of us are still rushing to buy and wrap presents. The last thing you want to worry about is organising a professional and safe way of getting you to and from your festive activities. So why not let Advanced Travel take care of all your travel needs. 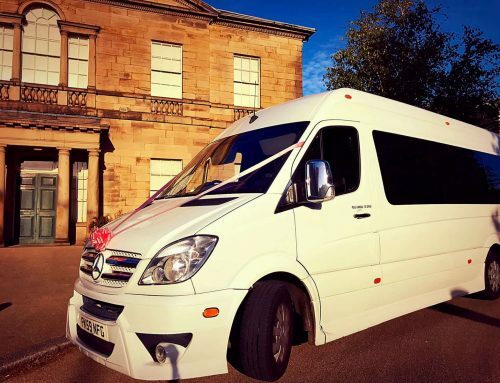 Based in South Yorkshire, with over 20 minibuses and coaches and over a decade of experience, you can relax knowing that you are in safe hands. Whether you’re going to a work party, family meal or the airport we guarantee to transport you and your guests in a safe and professional manner. Our minibuses and coaches hold between 16 and 49 passengers. Our fleet includes a luxury minibus and multiple wheelchair access vehicles, so you can be assured that we can cater to your needs. So why not head over to our quote form: https://www.advanced-travel.co.uk/get-a-quote/ or give us a call on 01709 306303 quoting the promo code XMAS10 to receive your 10% off!